The Speakers Presenting this year are keynote speaker Bill Nye, Mark Crislip, Jann Bellamy, Harriet Hall, and David Gorski of the Society for Science Based-Medicine along with George Hrab, Deborah Berebichez, Steven S. Hall, John Rennie, Brian Wecht, Heather Berlin, Yelena Bernadskaya, Latasha Wright, and returning emcee Jamy Ian Swiss. As always, the Skeptics’ Guide to the Universe and Rationally Speaking podcasts will record live shows. Stay tuned for more speaker announcements in the future. The Venue NECSS 2015 will be held at FIT’s Haft Auditorium, a 600-seat space that offers free wifi and plenty of space to socialize with speakers, vendors, and your fellow attendees. We will again offer complimentary wireless internet access for all conference attendees. The Workshops A full day of workshops will be available on Thursday, April 9 from 10am-5pm. Workshop leaders include Steve Novella, Jay Novella, Brian Wecht, Latasha Wright & more. Register early for these as they will certainly sell out. 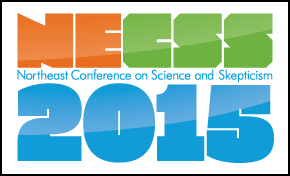 The Weekend As always, NECSS 2015 will include additional events after conference hours, including our popular Drinking Skeptically socializer, a private recording of the SGU podcast, our annual Fundraising Reception (all proceeds directly support NECSS), and a new Skeptical Extravaganza stage show by the SGU with George Hrab. ← Live Rationally Speaking podcast!